Kolkata: France football legend Thierry Henry, who's on his maiden visit to India, on Tuesday put Lionel Messi and Cristiano Ronaldo among the top contenders to win this year's Ballon d'Or trophy. "One of (Gareth) Bale, Leo (Lionel Messi), Ronaldo and (Antoinne) Griezmann could win the Ballon d'Or," Henry told reporters here at a promotional event of Puma. 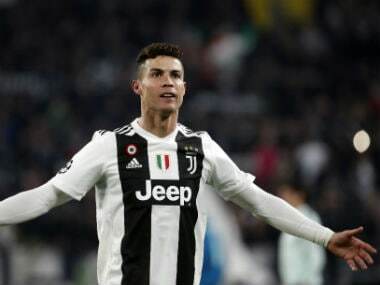 France Football released the list on Monday in which Portugal's Ronaldo and Argentine Messi both featured in a list of 30 for the 2016 Ballon d'Or, the coveted award given to a footballer considered the best of the season. Messi has won the Ballon five times, including in last year, while Ronaldo has bagged thrice. The two great rivals have finished first and second in the last five years. "Those (two) guys are just abnormal. I've never seen players like them before. 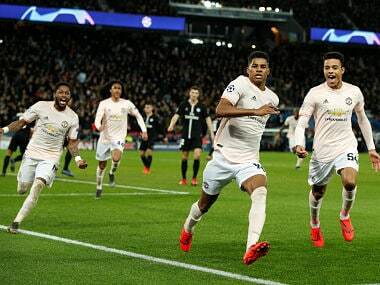 They score 50 goals, 60 goals, 90 goals a season. It is irrelevant asking if defenders would have stopped them and not fair on defenders of their time. We will never know that," Henry said. Henry added that he would love to see Messi with the Ballon for a record sixth time. "I have played with Leo, so you know how I would feel if he wins. It is difficult to see anyone coming between him and Ronaldo," Arsenal legend Henry said. After six years during which the Ballon d'Or was awarded in conjunction with FIFA, replacing the governing body's 'World Player of the Year' prize, the award will revert to its original roots this year. No longer will a combined group of national team coaches, captains and international media take part in the decision, with only journalists now getting a vote. Henry said Indian football should look to Iceland, who reached the quarterfinals of Euro 2016, and Costa Rica as templates of how to improve. "Iceland and Costa Rica are proof that hard work pays. You need to start early, and not at a late age when you are becoming professional," he said. On Paul Pogba's woeful start to his Manchester United career, Henry, who is World Cup winner with France, said, "Jose Mourinho is still looking for best 11, best system. When I came (to the Premier League), I was not playing well. I have faith in Pogba. Nowadays, people want things to happen very fast. He needs time to adapt." Henry was a key player in Arsenal, winning several matches in a row and in the process regaining the Premier League title in 2003-04 season. 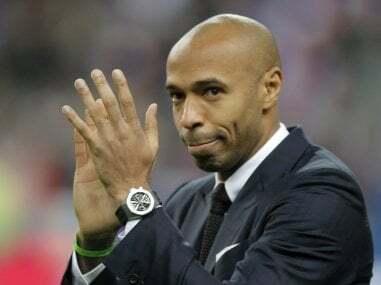 Asked whether any team can emulate the feat, Henry, who is now the second assistant coach in the Belgium national team, said, "It is possible to repeat Invincibles' feat of winning League by remaining unbeaten. But we did it first." Henry said Real Madrid coach Zinedine Zidane, one of his teammates in the France national team, was on the right path. "Definitely Zizou is on the right path. Winning the Champions League first up is great," Henry said.